DevOps, AI, Machine Learning, IoT and more! Six new courses are being offered that allow you to further your career and lead the activities at your organisation. Use AI to speed up analysis or DevOps to speed up project delivery. Processing, analyzing and understanding Big Data gives today's businesses a comptetive advantage. From Big Data Scientist to Big Data Engineer, we have the principles, approaches and design patterns that will enable you to enhance your career in this field. Cloud computing has passed the hype stage and is now mainstream. Learn the design patterns and approaches that are applicable to building and using a Cloud. SOA and Microservices best practices enable you to architect solutions for the API economy and enable DevOps in your organisation. Increasing competition in the marketplace requires organisations to change easily and innovate rapidly. Scaled Agile Framework® (SAFe®) for Lean Enterprises is the world’s leading framework for enterprise agility. 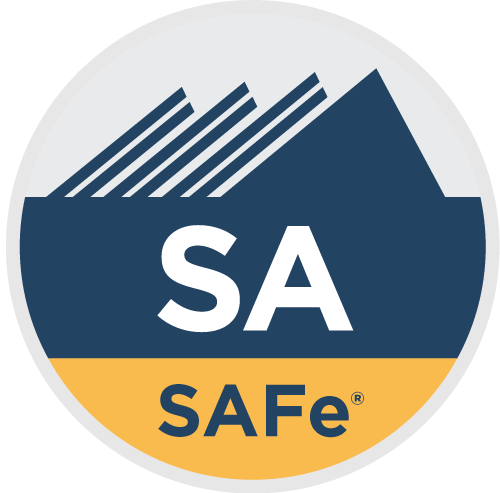 SAFe provides knowledge base of proven, integrated principles, practices, and competencies for Lean, Agile, and DevOps. It is configurable and scalable for Teams, Programs, and Portfolios. An action-biased collection of modern change management ideas, practices, and tools inspired by Agile, Lean, and Lean Startup thinking that have been designed to help your organization keep pace with today’s torrid pace of change.